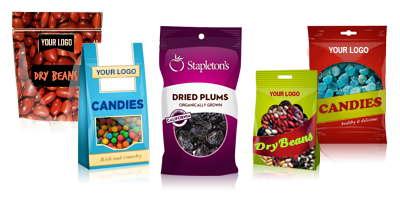 We offer both a pouch machine and a form-fill-seal machine for almost any bagging project. In addition to other food certifications, our copacking services are GFSI / BRC Compliant. Dried Fruit, Dried Vegetables, Legumes, Candies and Confectionery. Production is conveniently done at our nut-free facility in Gridley, CA or one of our local strategic partners. Our central California location helps reduce shipping costs for raw materials and finished goods. Thank you for considering Stapleton-Spence for your bagging and co-packing needs. Contact us today to discuss your food bagging project and to request a free quote.